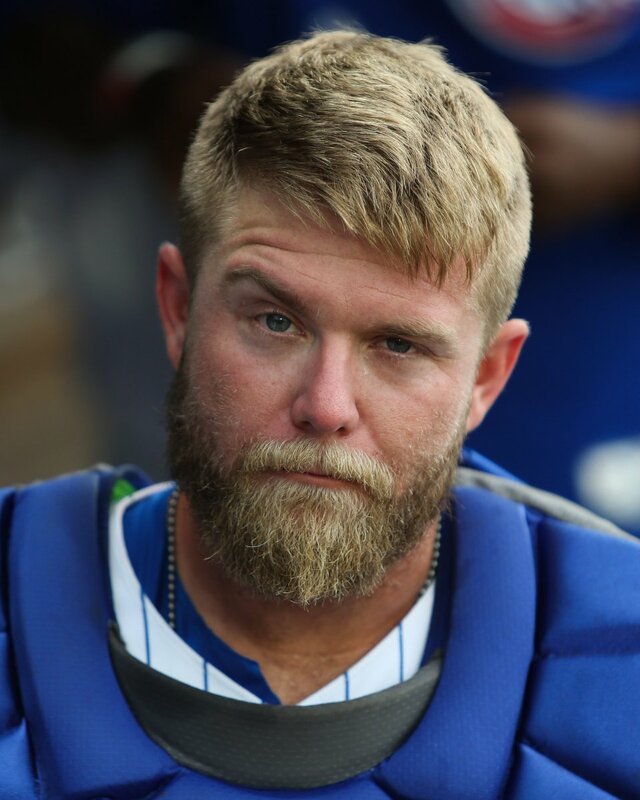 The Chicago Cubs today selected the contract of catcher Taylor Davis from Triple-A Iowa. Chicago’s active roster now stands at 33 players and the 40-man roster stands at 40. Davis, 27, joins the first major league roster of his professional career. He batted .297 (106-for-357) with 27 doubles, one triple, six home runs and 62 RBI in 102 games with Iowa this season. Davis recorded a .357 on-base percentage and a .429 slugging percentage, good for a .786 OPS. He played 59 games behind the plate, 26 games at first base and two games at third base with Iowa this season. The right-handed batter is a career .284 (421-for-1,485) hitter with 97 doubles, 26 homers and 221 RBI in 461 games covering seven minor league seasons in the Cubs organization. Davis was signed by the Cubs as a minor league free agent on July 11, 2011. He was selected by the Marlins in the 49th Round of the 2008 Draft but did not sign and instead attended Morehead State University in Kentucky. He is a native of Tampa, Fla. Simply want to say your article is as amazing. The clearness in your post is just cool and i could assume you’re an expert on this subject. Well with your permission let me to grab your RSS feed to keep updated with forthcoming post. Thanks a million and please keep up the enjoyable work. I do like the manner in which you have framed this difficulty and it does supply me some fodder for consideration. On the other hand, because of what precisely I have seen, I simply hope when the commentary stack on that individuals stay on point and in no way start upon a soap box regarding the news of the day. Anyway, thank you for this fantastic point and though I can not go along with the idea in totality, I value the viewpoint. I just want to mention I am just very new to blogs and really liked this blog site. Very likely I’m planning to bookmark your blog . You amazingly come with excellent posts. Regards for revealing your web page. Friday Night Lights in Wrigleyville.